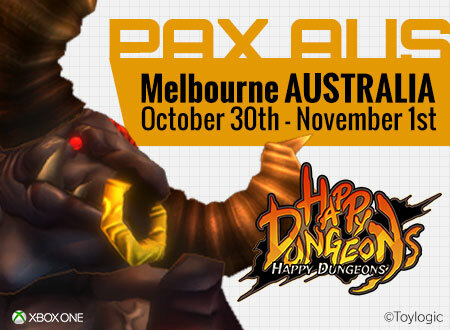 Toylogic will exhibit at the game event "PAX Australia"! There will be a playable demo for the Multiplayer Action RPG 『Happy Dungeons』 planned to be released in 2016 at the event.! "Happy Dungeons" is a free-to-play Hack & Slash style Action RPG played up to 4 players. There will be a plan to add some linking features with the Multiplayer Action Game "Happy Wars" , so playing both titles will be more fun.! Please come by at "PAX Australia" if you live in Australia! !